I came to the realization that we have been homeschooling for over 7 years now. We have grown from it just being Joey to all four of the kids now homeschool. Some days are wonderful and other days I just want to make a phone call for that big, yellow school bus to show up. I have learned quite a bit in the past few years, and I thought I would share the top 5 mistakes that I made and sometimes fall back too, and have to kick myself back in line again. 1. You are Homeschooling....which is education at home, not re-creating a public school classroom in your home. I'm not saying you shouldn't have a room dedicated just to homeschooling, but if you don't have the money or space to have such a thing, don't think you can't homeschool. This is not necessary. We don't have the space to have an individual room. I wish we did sometimes since it would be nice to have some of the school clutter to be hidden behind a closed door. But that has just made me more conscious of not leaving piles everywhere and come up with creative ways to keep their books out of the way. Currently each child has a backpack that has their current study books and their assignment notebook in it. It works out well for us. Their materials are portable anywhere in the house they want to work. 2. There are so many hours in each day. Overplanning is a bad thing. There are only so many hours in a day. I know there are some awesome projects and we have a limited amount of time to teach our children, but if you overwhelm the kids and yourself no one will be having fun. No one will really be learning. Keep track of how many hours you are schooling each day. If the kids are whining and getting frustrated, maybe you need to take a look at how much you are packing into each day. It's ok to change your schooltime around. Do some in the am and the evening. Give yourself and the kiddos a rest break or quiet time to read books about the topic you are studying. Get out and take a walk or bike ride. If you find you are planning too much into each week, then definitely take a look at your schedule and experiment over a couple weeks. Adjust how much material you are including each day. I fight this often. I try to cram too much into each week, and then I feel frustrated that we didn't get to everything. This frustration distracts me from what we actually accomplished. 3. Spend a ton on your first curriculum purchases. I am a bit of a curriculum junkie. I have shelves and shelves of it. I was even worse though in the beginning. I would buy whatever I read about. We would use it and I would see quickly it wasn't a fit. Sometimes it would fit, but that was a lot of money to waste. A LOT of money to waste. Before running and buying the first curriculum that you like, really look at your child's learning style. Look at various curriculum and go through their samples. Read reviews. Don't go in debt for curriculum you cannot afford. It will frustrate you also. Remember that library books can work at curriculum also. You do not need a fancy box curriculum to homeschool. 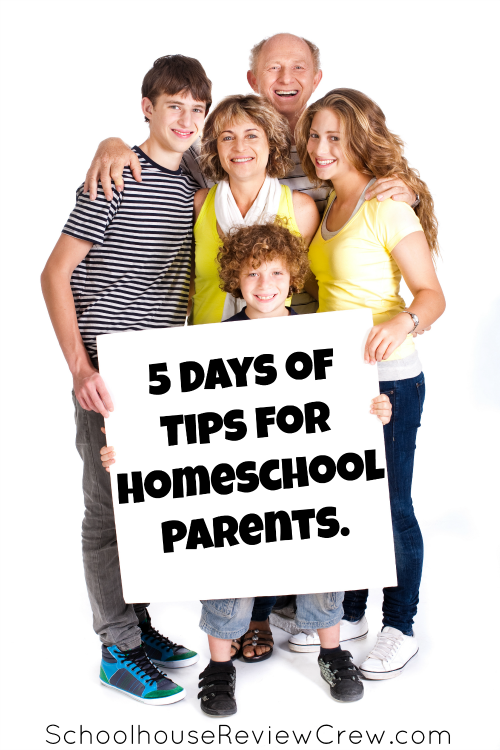 Find what works best for your family's educational style and also your budget. I am not against box curriculum, they work well for many families. But not for everyone. Also do your research, you can find used options many times that will save you a ton of money. So if you do want the boxed curriculum, do your research. Homeschool clubs abound. It is so different than a few years ago. There are clubs, activities, and field trips that will keep you very busy. In our area, we could find something to do almost daily. Unfortunately our kids are not unschooling kiddos, so I have learned to cut back on activities. We still do field trips and we find many life skill trips to take. But I really look at our schedule now and the activity. I ask myself if the kids will enjoy it or if it is for me. How much are we already doing that week? Will it apply to any of our recent studies? Have we done a field trip or activity like this recently? Going to similar museums repeatedly is rather boring....trust me we have reached this stage in our travels. 5. Forget that learning happens anywhere. While you are stressing about how much you have not gotten done this week and what you still need to finish, did you realize that your child was watching a movie on bees? Or maybe they learned how to make a new dinner dish for the family? Did they learn how to plant garden plants? Or maybe how to be a better neighbor by helping out next door? Learning happens all around us. Your child can learn while going out and running errands. Let them help make a menu plan for your family. Let them help you grocery shop and plan out your errands. Life learning is as important as book learning. So many kids graduate that are not able to cook, balance a checkbook or even clean up after themselves. You have the perfect opportunity to not only educate your children with books but also in life.